President Vladimir Putin will meet Tuesday with UN and Arab League special envoy Kofi Annan to discuss the bloody violence that continues to rage in Syria, the Kremlin press service announced Sunday. Over the course of the meeting, Putin plans to reaffirm Russia's support for Annan's plan to peacefully resolve the armed uprising against unpopular President Bashar Assad, the Kremlin said in a statement. "The Russian side believes that this [Annan's] plan is the only viable platform for solving Syria's internal problems," the statement read. Russia is viewed by UN and Arab League members as a potential ally capable of applying pressure on Assad, though so far Russia has resisted, openly continuing fuel and arms deliveries to its longtime Middle Eastern partner. Moscow, together with fellow veto wielder China, has stubbornly prevented UN Security Council sanctions against Syria, where the UN estimates more than 10,000 people have been killed since clashes between government and rebel troops erupted in March 2011. Annan's official visit to Russia, which begins on Monday, comes just a few days after activists said troops loyal to Assad had killed 200 inhabitants in the western village of Turaymisah on Thursday. The Syrian Foreign Ministry responded Sunday by saying that only 37 had died in the clashes. 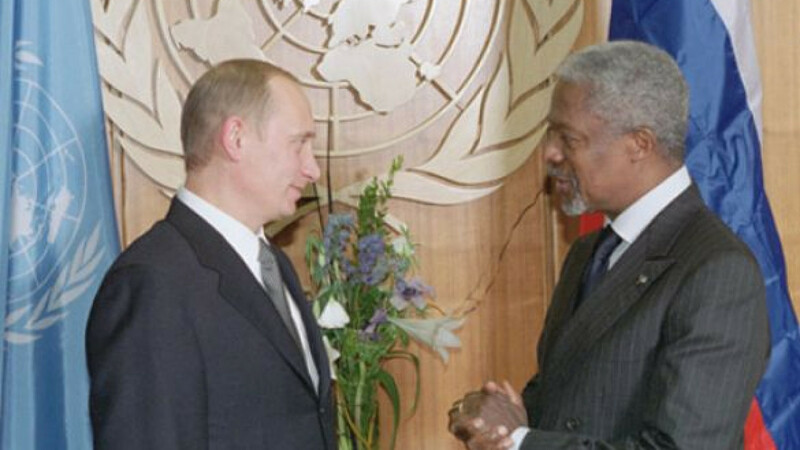 Tuesday's meeting will be the second time that Annan has flown to Moscow to discuss the Syrian crisis in the past four months.